Learn how to start sustain network, build or grow any business & or website worldwide. Contact us today to learn more about our entrepreneur assistance services in Pineville, NC and ANYWHERE Locally, Nationwide and Worldwide. For any size business: franchises, homebased business, mall location, vendor, catering, vending, mall kiosk, online, etc. We help, locally, nationally as well as worldwide. 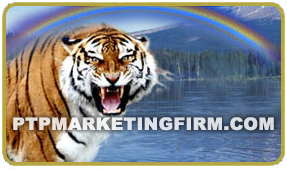 PTPMARKETINGFIRM.COM provides you with the tools to start, sustain, network, build, or grow any type of business. We help you attract more customers and maintain existing clients. We help you build websites or use online communications to increase your business. You don't have to rely on just Fridays and Saturdays when you can be busy seven days a week. Call & ask or email us for more information on how we get you branded online. Request a service from PTPMARKETINGFIRM.COM to start, sustain, network, or grow your own business and/or to create a business website.